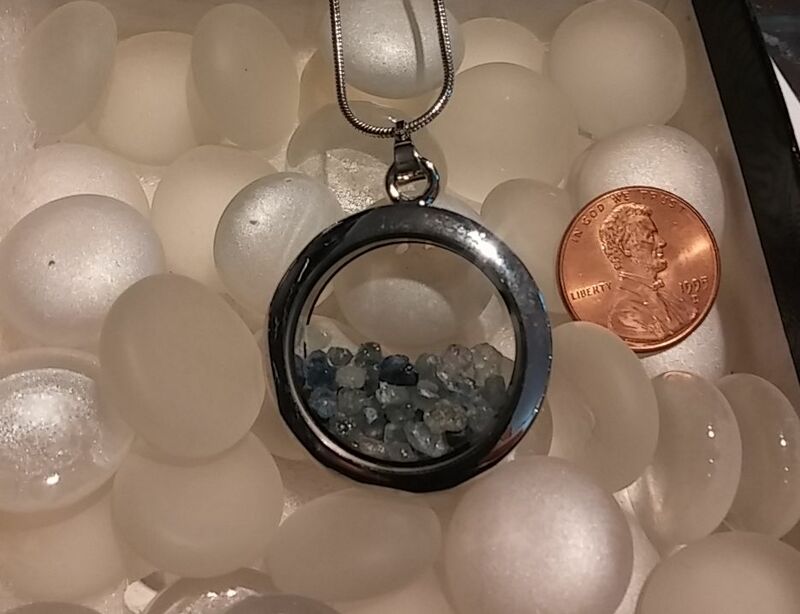 A Beautiful magnetic locket to hold your sapphire treasures or any other charm or keepsake of your choice. Overall size of the locket is 1 1/8th” in diameter and 1/4″ thick. Silver plate and glass with 18″ silver colored chain.